TE-CO believes in the application of the Golden Rule to all phases of our business including relationships…with our customers, management, employees, stockholders, sales representatives, suppliers, government, and neighbors. We have definite obligations to each. TE-CO is firmly established in the concept of profitable free enterprise, we recognize that our success is linked with that of many others and must be developed through enlightened self-interest. We therefore believe that our business is bound by this creed. Customers are entitled to quality products at a fair price. Our objective has always been “Satisfied Customers” who will rely on us to help them solve their problems and meet their needs on both an immediate and long term basis. Shareholders have made the investment of the capital that creates new facilities, new products and new jobs, and are entitled to a fair return on their investment. Suppliers and their sales representatives, with their specialized knowledge of the products and services they offer, play an important role in the continuing profitable operation of our Company. We believe that the Company should be a good neighbor in the communities where it operates and where its employees live. 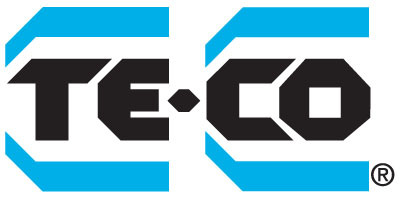 TE-CO was founded in 1926 as a privately owned OHIO corporation located in Union Ohio. Manufacturing is performed in a modern 75,000 square foot facility.